In December 2015, City Council – exhausted by extensive and contentious budget debates – delegated their authority to the Mayor, the City Manager and the Chair of the Transit Commission to make the decision on what kind of toilets would be installed at the Bayview and Hurdman LRT stations, including revisiting pay for use. All necessary decisions can now be made by this tiny group. Only if the recommendation is pay-for-use will it go back to City Council for a decision. BE IT FURTHER RESOLVED that City Council delegate the authority to the City Manager to undertake all necessary actions to implement the decisions made as part of this process, in consultation with the City Solicitor, including whether to implement a user pay option and the potential social impacts of such an option, and report back to Committee and Council on the exercise of this delegated authority on the understanding that, should the user pay option be recommended, the recommendation would be presented to City Council for final approval. We understand that the city is currently collecting the data and constructing the municipally funded public toilet app. GottaGo! is continuing to try to track these developments and to press for the extensive network of toilets that we want: including more access to existing business and public toilets, signage and changes to public policy. This entry was posted in Uncategorized on January 12, 2016 by gottagocampaign. At the City Council FEDCO meeting on December 1, the staff report on toilets for the LRT stations was received. It said that the “upset limit” for the toilets at Bayview and Hurdman stations would be $2.05 million to build them; that the toilets would have estimated “lifecycle costs” of $224, 400 and maintenance costs of $13,000/month. They would be built, managed and maintained by the RTG group (the LRT contractor). The FEDCO Committee has now sent the report back to staff and asked them to report on pay-to-pee options and automated public toilet options by December 9. The report provided no justification or comparison information for these figures whatsoever. We have seen publicly- available reports for other cities on public toilet provision, that provide masses of useful information and analysis. This is not one of them. We demand that the background work for the staff report be made public. We think the costs are over-blown, and probably include penalties for varying the contract with the RTG group. We have heard that the variation penalty is $1 million or more, although we have been unable to get this information from the City. GottaGo! thinks that public toilets should be supported by taxpayers as a necessary public good. Fee-for-service for a necessity of life is an unjust form of tax that falls most heavily on the impoverished and those who need the service the most. Increasing transit fares (some of the highest in Canada) are already prohibitive for many people in this City. However, if the only way we can get toilets in the LRT stations is through a user-pay program, then this is better than no toilets at all. At least once they are built, we have the option of lobbying to get the fee removed. Call your Councillor. So far the news polls are running about 65-70% against charging for toilet use. Ottawa Citizen, December 1, 2015. Joanne Laucius. Pay as you go? Mayor wants report on pay toilets before approving LRT wshroom funding. Ottawa Sun. December 1, 2015. Jon Willing. Pay-and-go Potty Plan considered for LRT. Metro News. December 2, 2015. Pay-to-Pee? City Considers Coin-Operated LRT Washrooms. This entry was posted in Uncategorized on December 2, 2015 by gottagocampaign. We need your help to make sure a network of public toilets is still top-of-mind for our Ottawa City Councillors as they debate the budget for next year. Meetings started on November 17 and continue until December 7. Call your Councillor to make your views known. Our requests are in jeopardy because of the Mayor’s promise to limit tax increases to 2%, a situation that means we are competing with many other worthy initiatives. This should not be the case. The people of Ottawa want and need good infrastructure, good parks and recreational opportunities, and transportation, housing, food security and education that are available for all. We know that costs money but, what the City does not provide, we will end up paying for with our time and our own resources. We already see a City that is increasingly unavailable for those without financial means and this affects the quality of life for everyone. A great capital city has great public toilets. This entry was posted in Uncategorized on November 18, 2015 by gottagocampaign. The “GottaGo!” campaign aims to create a network of safe, free, clean and environmentally responsible public toilets and water fountains that are accessible to persons of all abilities in parks, major transit stops and key public places to meet the needs of residents and tourists in Canada’s Capital City. In a city such as Ottawa the needs of tourists, outdoor activities of families, an aging population and people with disabilities, and the need to ensure effective public health combine to demonstrate that a network of safe, clean, accessible and environmentally responsible public toilets are essential. There are effective public toilet programs in other capitals like Tokyo, Paris, London, Christchurch and Seoul. Which of us has not been caught short by our need for a toilet? The Crohn’s and Colitis Foundation surveyed their members and donors in 2010 only to find that more than 75% of them had been humiliated in this way. What parent has not had their child urinate or defecate behind a tree in a park? Which pregnant woman, tourist, bus user, cyclist or jogger has not had moments where they worry about getting to a facility in time? Although Ottawa does have public restrooms in large parks, their hours do not accommodate need. Transit stations do not have public toilets and there are no plans for toilets in the new LRT stations (except at the end of the line). People with urgent needs, such as colitis and celiac sufferers, are held captive in their homes and cars. In the city core, where bars and restaurants are located, people urinate after hours in laneways and buildings, and restaurant and bar owners fret about non-paying customers using their washrooms. Tourists from Asia and Europe are shocked by the lack of public toilets. Available toilets that are accessible to people of all abilities are a public health issue, a disability issue, a tourism issue and a key to sustainable cities and complete streets. The current situation is unacceptable in a capital city. Add at least one 24/7 unisex, direct access facility accessible to persons of all abilities to public buildings in high traffic areas. Invest in at least two adult “changing stations” for users with severe disabilities. Require new developments in key areas to provide for unisex street-access toilets accessible to persons of all abilities as part of their permitting. Build/install new architecturally beautiful public toilets where required. 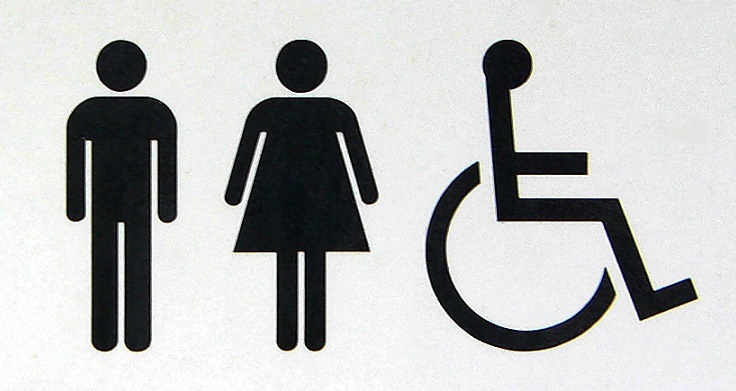 The Ottawa Police Service agrees that toilets located in public or commercial settings can be inclusive and safe environments. They can be facilities that patrons feel confident to use, are easy to maintain, and are resource efficient. Design choices can be made that allow for easy cleaning and management, resistance to vandalism, and low maintenance requirements. Other capital cities can do this, why can’t Ottawa? The increased staff required to maintain these toilets in a pristine condition could be a key employment generator. Advertising on the toilets can help defray costs. “Public toilets represent society’s finest aspirations about responsible civil behaviour. A great city has great public toilets” (Bridgeman). This entry was posted in Uncategorized and tagged environment, GottaGo!, LRT Stations, Ottawa, Ottawa Public Toilets, parks, public space, public toilets, transit stops, washrooms, water fountains on April 8, 2014 by gottagocampaign.